At the moment I’m focusing on Phoenix’s canter, in particular stopping her hindquarters drifting out on the canter transitions, so earlier this week we used a centre line exercise to help improve the strength of her hindlegs, balance and straightness. It’s an exercise which is harder than it looks, so build it up slowly. Canter is an asymmetric gait, being three beat, which can lead to horses becoming crooked in the canter, or relying on the fence line to prop them up. Cantering a straight line down either the three quarter lines or the centre line, will show you if your horse is crooked or relies on the fence. 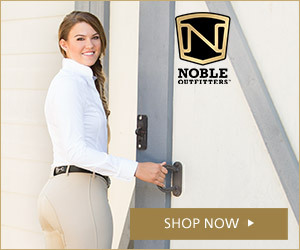 If they’re crooked, you’ll drift off the line and if they rely on the fence, then the quality of the canter will decrease and they’ll fall into trot. In order to be able to use this centre line exercise to full effect, it’s worth perfecting cantering straight lines in a consistent rhythm on both reins first. When cantering the outside hindleg is the propulsion leg, yet in trot the inside hind is the propulsion limb. Which is a reason why it’s quite difficult for horses to ride rapid sequences of trot and canter transitions; they’re having to change their propulsion leg and change their balance between left and right, which utilises their abdominals and tests their balance. Bearing this fact in mind, you should start to understand how the following exercise helps improve the canter transitions and impulsion in the canter. On the right rein, pick up right canter and then turn down the centre line at A. Between D and X, circle right. If you’re unlucky enough to have a 20x40m school this is a harder element than in a wider school because your circles are smaller. Maximise your space on this circle to help keep your horse as balanced as possible. After the circle ride a few straight strides of canter. After X ride a transition to trot – without wobbling off the centre line – and before G ride a ten metre circle left. This circle needs to be smaller than the canter circle in order to be effective. At C, track right. So, in right canter the left hind leg is the propulsive limb, so if a horse is a bit crooked in the canter, or slightly on the forehand than they will lose the energy from the left hindleg in the downwards transition – it won’t be as an efficient propulsive – and find it difficult to trot a left circle, where that limb is on the inside and propelling then forwards. The exercise improves the straightness in the canter, keeps that hindlimb engaged throughout, and so improves the quality of the gaits. Ride the exercise a few times on each rein, and you should start to feel the difference in the upwards transition because the horse’s propulsive limb is acting towards their centre of gravity and they are straighter. So long as they stay straighter, and stronger in the canter they will be able to make the transition to trot and stay balanced on the trot circle, which can get progressively closer to the downwards transition to become more of a balance test. I could feel Phoenix thinking, and staying much more with me in the downward transition, being less inclined to drop slightly onto her forehand, and she definitely stayed a bit straighter when I went up to canter. Interestingly, I did this exercise with a much more established horse a couple of days later and he really struggled. He’s a big moving horse, and tends to drift through his outside shoulder in canter and avoids stepping under with his hindlegs so throws himself into a big trot on the forehand in the downwards transition and so finds it difficult to circle almost immediately, and ends up falling in. I’ll be taking it back a step with him this week to improve the basics before putting this exercise back together again.